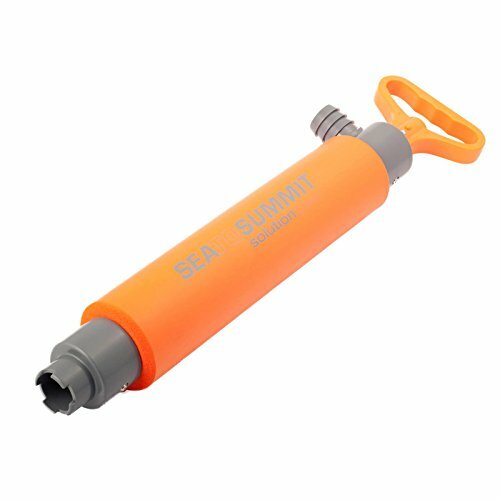 A bilge pump is an essential accessory to have on your kayak. 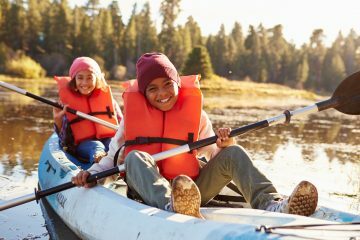 Whether you are kayaking on a closed body of water, such as a lake or in the open water of the sea, you are bound to acquire water in your kayak – even on calm water. 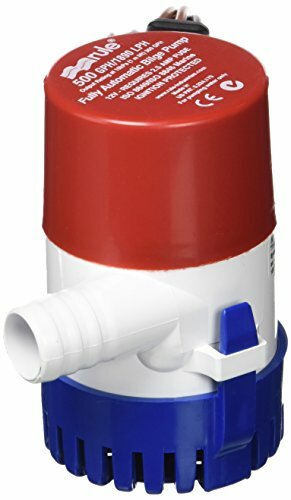 So, knowing that you have the best kayak bilge pump is a worthy investment. If you breach your hull on a submerged rock or another hidden object, water will quickly rise in your craft. Not only is a swamped kayak dangerous, but it can also be unnerving and uncomfortable. It can even be dangerous. If you do not have a bilge pump and you are taking on water, you either have to find a location to land and empty the water from your kayak or swim for shore, providing, of course, you are within swimming distance. Here at The Adventure Junkies, we offer you options depending on the type of kayaking you plan on doing. There are both manual and automatic pumps available to make your experience fun and safe. CONS: Only ships to the U.S.
Kayaks are designed to sit low in the water and thereby naturally collect water inside. Even if you are paddling on calm water, it will still drip from the paddle handle each time you take a swipe. This would gradually create a puddle inside the kayak. There will be times when the water collection is minimal and a manual pump will work just fine. Other times, the water may be rougher and the waves higher, causing more water collection. This could also happen when you are facing water conditions that require you to continually paddle and not stop to pump. 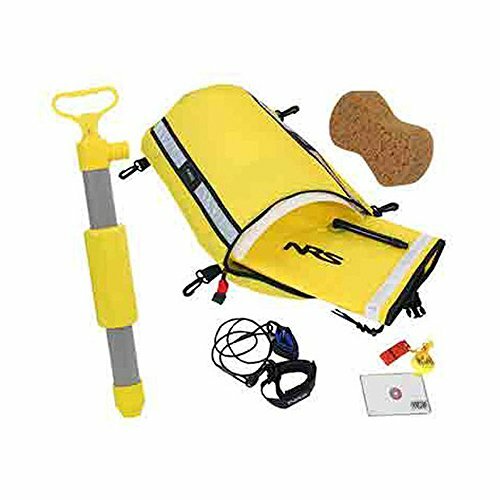 Deciding what type of kayaking are you planning on doing is the first step in choosing the style of bilge pump you will need. Do you plan on lake kayaking where you will be dealing mostly with smaller waves and calmer water? 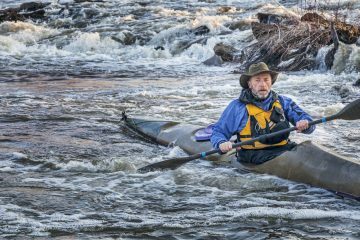 Will you be doing more open water or white water kayaking where there will be numerous waves and opportunities for water to splash over the edge of the kayak? 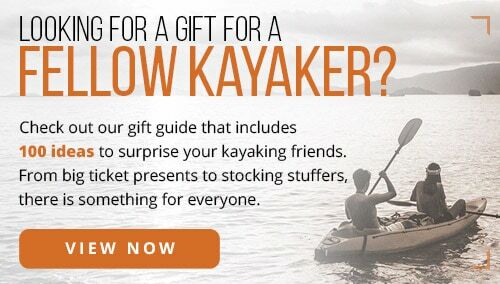 Will it be convenient for you to stop at various times to pump water from your kayak? Do you want the freedom of not having to be concerned with the water levels inside your kayak? Do you want to invest the time it takes to install a battery-operated pump? These are all questions you should consider when comparing bilge pumps. There are two types of power sources for bilge pumps: manual (AKA the old fashioned human powered) or battery-operated. Manual pumps rely on you pumping water out of the kayak. They are cylindrical in shape, resembling a bicycle tire air pump. 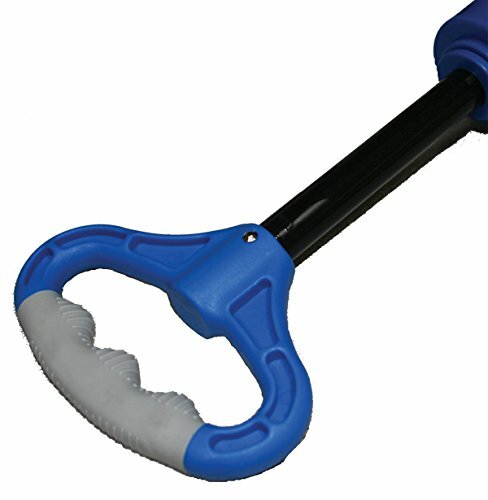 They function by pulling a plunger type handle which then siphons the water up through the pump and shooting it over the edge of your kayak via a outlet hose. This type of pump has the benefit of minimal moving parts that can break. No special installation is required. It is also simple to use and generally lower in cost. 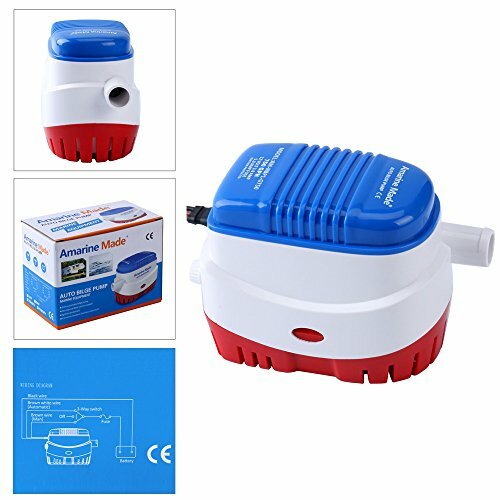 A battery powered pump operates either on alkaline “D” size or sealed 12v acid battery. Many 12v pumps come equipped with an automatic shut-off function. 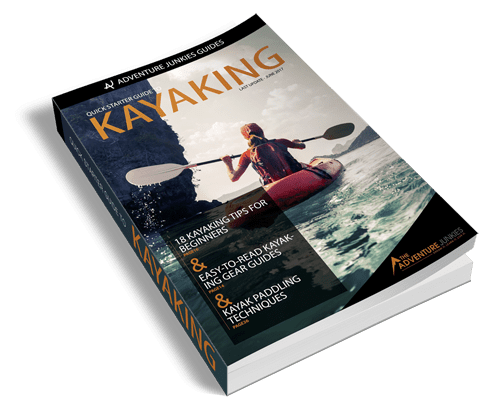 In short, as long as there is a certain amount of water in the bottom of the kayak, the pump will continue to operate leaving your hands free to do other things like paddle or hold your fishing pole. When the water level drops below this point, the pump will automatically shut off, conserving battery usage. This type of pump has the benefit of doing the work for you. It will pump larger quantities of water in a shorter time frame. You do not have to stop paddling or pull to the edge of the water to remove water from your kayak. The majority of bilge pumps have a body composed of plastic. The difference lies in the materials used in their internal parts. 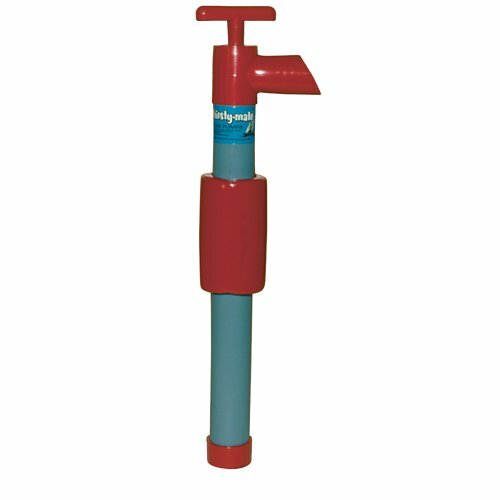 Manual pumps are mostly plastic with some having a stainless steel rod inside that the handle slides up and down on. Additionally, manual pumps are generally covered with a foam sleeve so they float if they are dropped during the pumping process. Battery-operated bilge pumps have internal metal motors that are sealed within the plastic body frame. They are slightly heavier than a manual pump. Battery-operated pumps generally will not float but they are also permanently installed and attached to the kayak. To determine the size of bilge pump you will need, consider these questions. 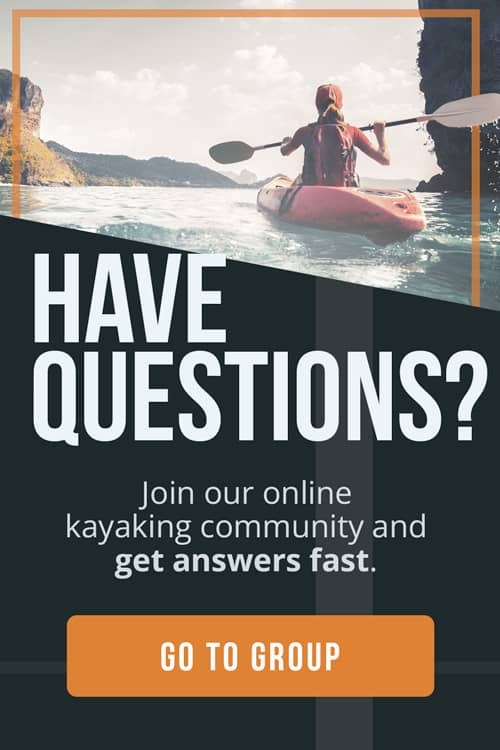 Is your kayak a single or tandem (two-person) kayak? 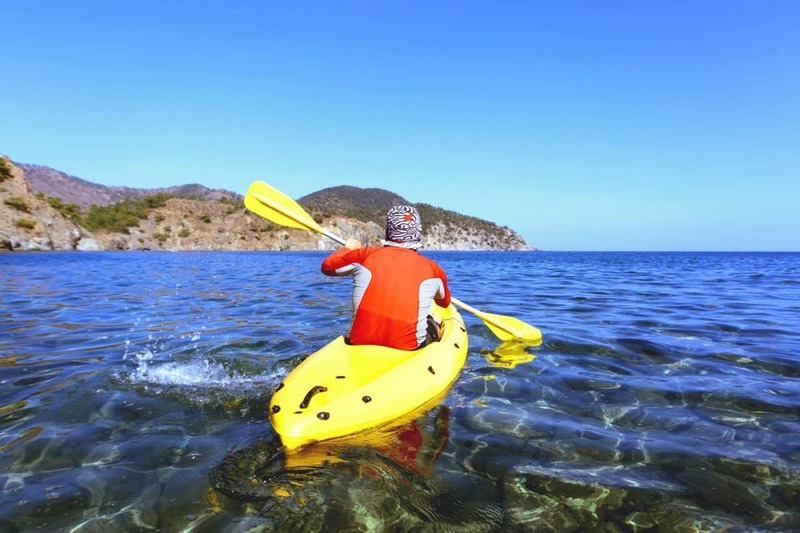 Will you be kayaking in flat or rougher water? A single person kayak will be shorter in length. So, a shorter bilge pump of 17.5 – 20″ would be more appropriate. If you have a tandem (two-person) kayak, a longer pump of 20″+ would remove water more efficiently. According to BoatsUS Foundation, manual pumps on average take eight strokes to remove a gallon of water. This is the equivalent of 8 GPM. A battery-operated pump will pump on average 8 GPM which is the equivalent of 500 GPH. This is an important feature if you are choosing a manual pump. If you drop the pump or it becomes disconnected from the kayak and sinks into the murky depths, well, you might be up a creek without a paddle. Thankfully, most manual pumps come with a brightly colored foam sleeve that will allow it to both float and be seen easily. Take into consideration where the pump will be strapped or mounted and if the kayak is single or tandem. If you are choosing a manual pump, strap it to the side of your kayak to position it within easy reach when you need it. For example, you can place it under the edge of the coaming (the lip of the large hole you sit in). If the pump is the wrong size for your kayak and excessively long, it will get in the way when you are paddling. A safety tip to consider if you do decide on a manual pump is to attach a coiled tether to the pump handle and the kayak via a secure clip to allow for removal during transport. This will ensure that you will not have to chase it downstream to retrieve it if it does work loose from the strap. Installing a battery-operated pump does require a small amount of electrical knowledge. Many pumps have directions and wiring diagrams. If you choose a battery-operated pump, take into account where you will mount it. You do not want to compete for space with your feet or risk pulling wires loose with your feet, causing the pump to not work during a paddling excursion. 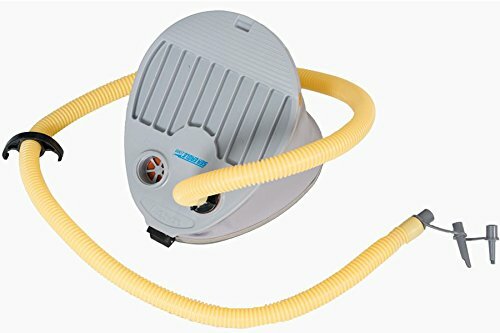 Consider installing the pump on the hull behind the cockpit (floor base behind the seat) and the battery in a waterproof case directly above it.